"Give K+12 a Chance" is the title of a news article in the SunStar Baguio where Presidential Communications Operations Office Secretary Sonny Coloma shares his opinion on the new DepEd curriculum. 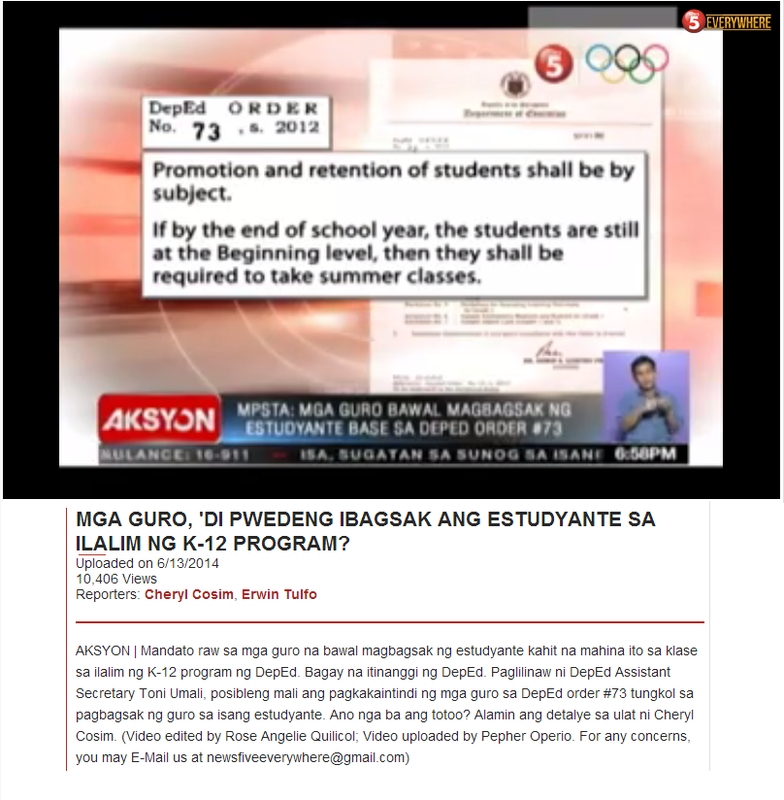 To some, this blog may seem a never ending series of posts criticizing the Philippines' DepEd K+12 curriculum. Some readers may have even arrived at the conclusion that this blog is nothing but a continuous rant against the years added to basic education in the Philippines. Nothing could be further from the truth. From the very first article, "First Things First...", this blog is more about formulating education reforms that are based on good evidence. "First Things First..." dissects the current situation to see what the real problems are. If fourth graders are failing in standardized exams, this means there are serious problems in the early grades. If third graders are unable to read, applying solutions at the third grade level is already too late. Correctly recognizing the problems is essential in designing solutions. Ignoring the reality of these problems almost guarantees failure in a reform. 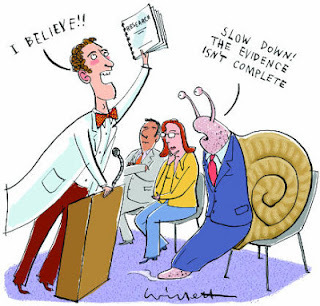 The direction education reform takes must be based on sound scientific research. Education is very complex. Education touches each and everyone of us and it is certainly one aspect of our lives in which every single person seems to have an opinion. Anecdotes are not necessarily wrong. Everyone has experience and each one thinks and works with this background. 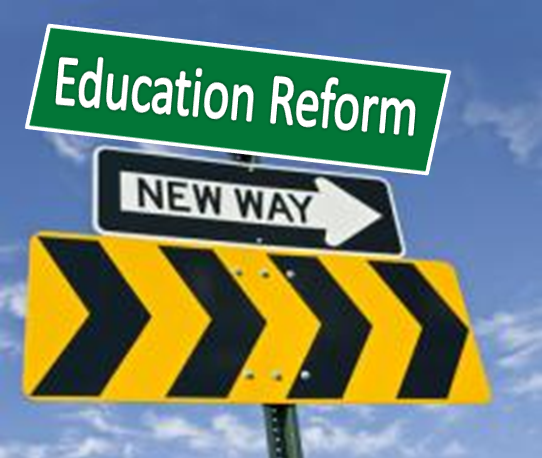 With public school education, politicians can dream up lofty goals and seemingly sound reform measures. There are various interests in play, sometimes in conflict, other times, hand in hand. An observation that something is working is not necessarily questioned. What requires scrutiny is whether a specific finding is transferable or not. In education, oftentimes it is an energized, idealistic and strongly motivated teacher who is eager to try out a reform. Motivation on the part of a teacher is certainly a great factor that can influence education outcomes. It is therefore important to ask if indeed the improved performance is attributed to the reform measures, or is it just a result of having teachers who are motivated and determined to prove that the reform measures are good. In the latter case, the new finding being transferable is unlikely. This blog therefore maintains that findings obtained through sound scientific procedures provide a better direction than any intuition, insight, anecdote, or personal opinion from a politician or policy maker. ...We need to be careful of reforming just for the sake of reform. Evidence and best practice matter, content and pedagogy matter, and yes diversity and social justice matter too. We seem to get beat up regardless of the route we take, offer too little content and the claims are that your graduates are too weak academically. Offer the wrong “kind” or too much pedagogical practice and you’re not preparing candidates for the realities of the classroom. Lack a diverse population so you require diversity and/or social justice courses and now you’re too focused on social justice. Teaching is complex, difficult work and preparing teachers is extremely challenging. The challenge is only exacerbated when we think about the number of different contexts teachers work within (e.g. rural, urban, suburban schools, high and low poverty schools, magnet/theme schools). The first part deals with correctly using expertise and research resources to design the solutions. Reforms that are set prior to vetted research results simply short circuits the process of finding the real solutions as research is then guided by the desired changes and not by an unbiased goal of examining the problem first and finding solutions that may work. The second part of the excerpt deals with the realities of teacher preparation. Teachers are the most important factor in basic education. Teachers are key players in reforming basic education. Acknowledging the complexity of education is a must. Unfortunately, to sell a reform to the general public, this reality is often masked. There is likewise a misconception that problems in basic education are unique to a given locality. What can be learned from educational systems in rich countries like the US are dismissed to be inappropriate because the Philippines is poor. One important point to realize is that in spite of the wealth and availability of resources, educational systems in rich countries are also facing problems. With a much lower pupil to teacher ratio, with enough chairs and classrooms, with adequate textbooks, and with teachers who are orders of magnitude better paid, basic education in the US still has its share of problems. The spiral progression approach embraced by DepEd's K+12 has been pointed out as one of the causes of education problems in the US, yet the Philippines chooses to implement this even in the face of insufficient resources. If such approach does not work in the US, how can it work in the Philippines which has so limited resources. While the US is increasing its instructional times, the Philippines has reduced classroom hours in the early grades. It is true that it is not quality but quantity that counts, but shorter times with poor quality are worse as it paves way to multiple shifts and child labor. 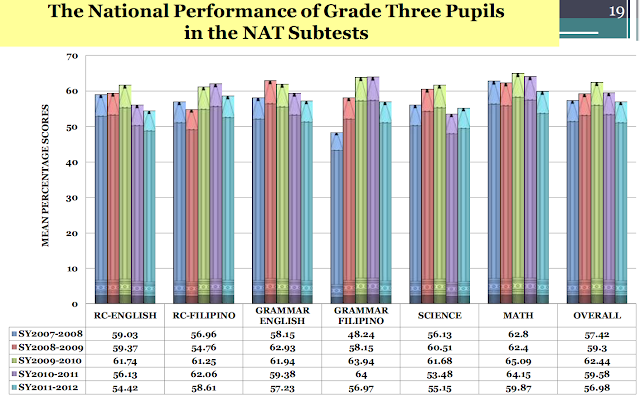 The articles in this blog do not simply point out the obvious fact that DepEd's K+12 does not directly address the real problems of Philippine basic education. More importantly, this blog continuously reminds us of what the problems are in basic education, not just in the Philippines, but also in other parts of the world, including the United States. On the positive side, it also highlights promising findings that may help improve basic education. Simply because DepEd's K+12 is now signed into law does not mean that we should stop our criticisms and reflections on basic education and finding ways on how to better serve the young of the Philippines. Like learning, this in fact must be a continuing commitment.